New study sheds fresh light on the most energy-efficient golf cart. 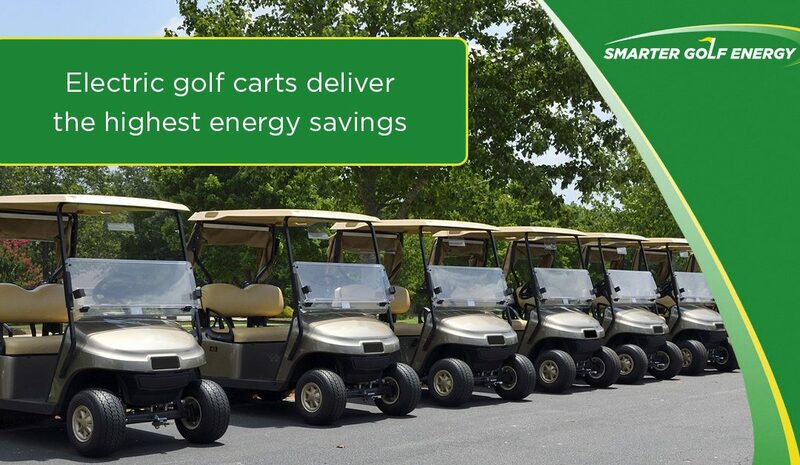 Not only do electric golf carts offer an environmentally-friendly alternative for short distance transport, but compared to gas carts, electric-powered golf carts yield 85% lower fuel costs and only produce a quarter of its fuel emissions. Whether you’re looking at daily consumption or long-term benefit, electric golf carts deliver superior annual savings and long-term sustainability, according to a study by the Toronto and Region Conservation Authority, which compared the energy efficiency of gas, electric and solar-assisted golf carts. The new report, released on October 20, 2018, by the Authority’s Sustainable Technologies Evaluation Programme (STEP), found that, beyond their quiet run, which makes them an even better companion to the solemn game of golf, electric golf carts consumed 3.3kWH of energy daily, compared to the 10kWh of gas carts, which on average were over three times less fuel-efficient than their electric counterparts. In real terms, the difference in fuel economy between a gas and electric golf cart is comparable to that of a Hummer H3 SUV and a Toyota Prius Hybrid car. And for golf course operators looking to green their operations in a cost-effective way, STEP also found that a solar-assisted golf cart isn’t the only solution when looking to cut greenhouse gas emissions. The study instead found that well-maintained electric golf carts, free of mechanical problems, may be a better investment for golf courses both financially and environmentally, providing energy savings at a lower cost than solar-assisted carts, by simply maintaining the carts in good condition. Whilst the study found that a solar-assisted cart might obtain energy savings of 12% (much less than manufacturer claims of 30-50%) over an electric cart, the energy consumed by the carts varied greatly, indicating that other factors relating to cart condition (e.g. tyre pressure and bearings) or driver behaviour may be more important than the solar panels in determining overall energy consumption. Of the 179 golf courses within a 100km radius of Toronto, roughly 80% are estimated to use electric carts, while the remaining use gas, the report noted. According to STEP, if the 20% were replaced with electric carts, this could reduce emissions by about 3.8 tonnes CO2 per day over an annual golf season, an amount roughly equivalent to taking 155 mid-sized petrol-driven cars off the road. However, the report cautions that taking good care of golf cart batteries and chargers is critical to these savings. A well-maintained golf cart battery can last up to six years, but partial or overcharging can compromise this. To avoid overcharging, the report suggests using an automatic golf cart charger. With the energy-intensive process of keeping a golf course running, cost savings generated from energy-efficiency not only has a positive effect on your business’s bottom line, but frees up extra funds to reinvest where it’s most needed, which helps enhance your estate’s value as a marketable asset.